For a few dollars a day, you can make a difference in the life of a child. 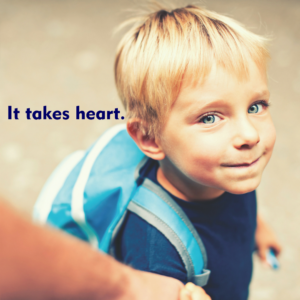 It costs just $1,000.00 to cover the cost to recruit, train, and supervise a CASA volunteer to advocate for the best interests of a child in foster care for a year. That’s about the price of a daily cup of coffee. It’s also incredibly effective. When a child has access to a CASA volunteer, they are half as likely to languish in the foster care and child welfare system, and that much more likely to find a safe loving home. But today, we only have the resources to serve less than 20% of the children in our foster care and child welfare system in Lackawanna County. We would like to ensure that every child who would benefit from the support of a CASA, has one. Support Lackawanna County CASA with by donating through PayPal by clicking the button below. Lackawanna County CASA is a program of the Advocacy Alliance, a non-profit 501(c)3 advocacy organization.